Frieze! – James A. Doyle, Ph.D. 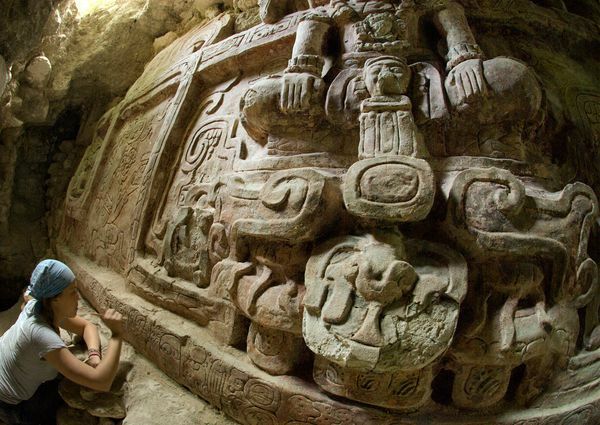 Spectacular finds from Holmul, my old stomping grounds, via National Geographic. And, just for fun, I dug up an old photo of me in the palace tunnel, Group III, Holmul. Photo by Jonathan Rodgers, Holmul Archaeological Project.